ANDAX-JUMBO is a very robust and versatile machine designed for the automatic assembly of large size of corrugated board partitions. It can handle all types of corrugated board, from micro-flute to double wall including microwave and twin dual, with maximum consistency and productivity. 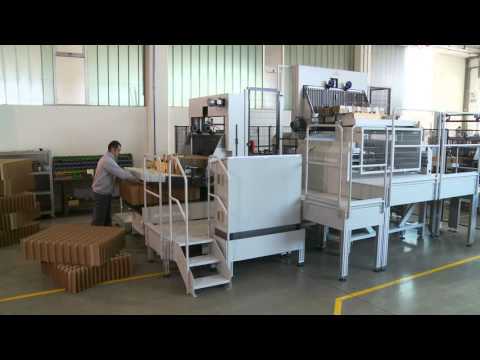 Easy to use loading system for both the longitudinal and transversal elements is very precise and fast, a supplementary device called ASF (Auto Sheet Feeder) eliminates interruptions of the production cycle due to manual positioning of the longitudinal elements, enhancing at the best the productivity of the assembly machine.